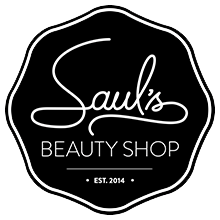 Saul's was created to help break down some of the forced spa image and offer a more chill vibe, or to steal from my Dirt Road Studios, in the case of some services, "a comfortable place to be uncomfortable". 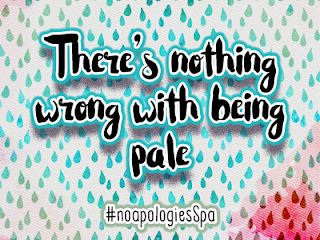 So this week we started a new campaign with the hashtag #noapologiesSpa , because you don't have to look perfect, be hairless or even really give a **** about that stuff to be welcome here. If you just want happy skin and a shoulder massage, you can outsource your skincare concerns and problem solving to us. If you don't care about hairy legs, but prefer a smooth bikini line you're a) not the first b) doing you. It's not our job to judge whether you look good enough to our or society's standards, it's our job to help you feel better about yourself and outline a nice, healthy, path to get you any skincare goals you might want to achieve. 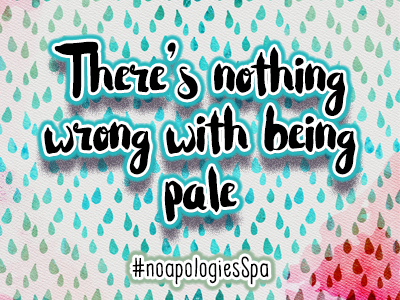 We've noticed that a lot of our clients are apologising to us for things that we'd really love them not to feel sorry about, especially normal day to day things like: hairiness, paleness, break outs, sweating, wearing makeup etc. You're here to relax, not to have another thing in your life trying to dictate which standard you're supposed to live up to. We know a lot of our clients have never really looked at, or maybe understood, skincare, and that's great because that's what we know! We know your body grows hair, it literally takes lasers to make that stop, and we're a hairy bunch too! So if you have something that you stress about when going to the spa, maybe our campaign will help ease some worries and let you concentrate on the important things, like where to order in dinner from tonight. The fries vs. pizza vs. chow mein debate is really a conundrum!